There's a pretty good chance you've seen this gorgeous patio if you've been on Instagram recently. I am not surprised. Breathtaking view of the Amalfi Coast? Check. Chic and cozy boho pillows for an afternoon drink?? Check. Hidden pools to relax?? Check. The only thing not to love about this hotel is the dent it will put in your checking account. The place? 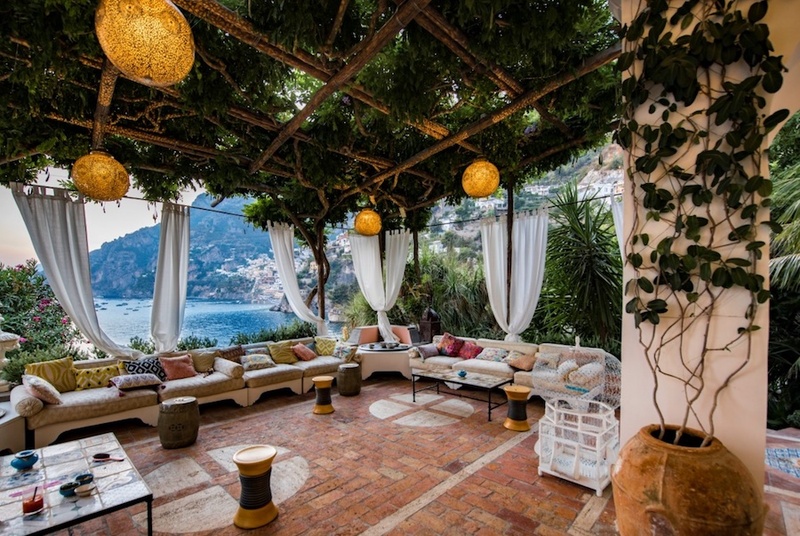 Villa Treville in Positano, Italy. A restored, hotel with a rich history of being a hotspot for artists and intellectuals alike. Are you wondering why you are just seeing this beautiful place?? Evidently the previous owners ran the hotel as an invitation only under the condition of no one was to take photographs. 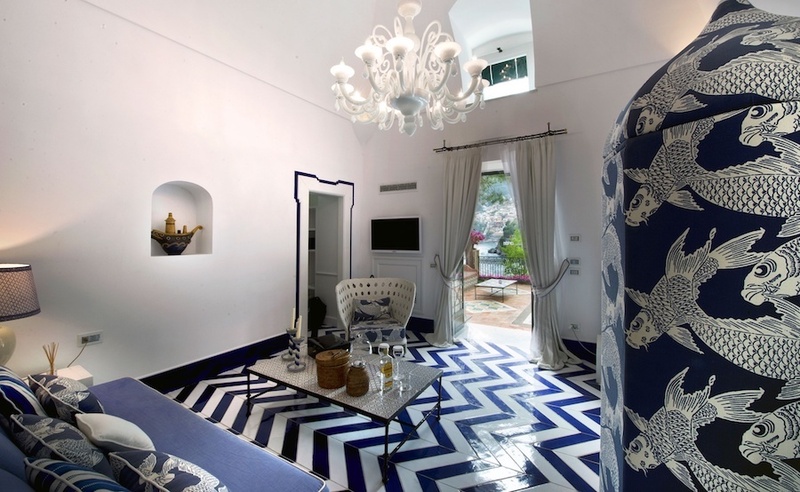 What I love most about the design aside from the bold and glamorous choices is that it celebrates local designers and craftsmanship with Neapolitan furniture, Vietri tiles and Murano glass. Sign me up for a trip to Italy!